My garage gym is teaching me a lot about today’s church model! I know it sounds odd, but I think by the end of this you’ll see what I’m talking about. My brother and I love working out. The endorphins that are released after a workout provide a natural high that only God can give, and these endorphins are great for the health of our bodies. I think we all agree that working out is good for us – so long as it doesn’t become an idol. 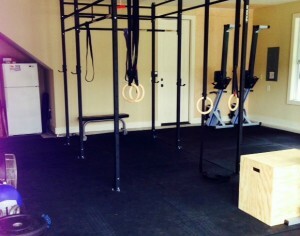 What’s interesting to me, however, is the evolution of where we workout and how we do it. Where we workout: Think about all the new big box gyms in cities across America. They have large buildings with all the newest, state-of-the-art equipment, mirrors everywhere, up-beat music playing, & the latest technology to increase your personal experience. There are machines as far as your eye can see, and the locker rooms provide great personal comfort for us. Resort gyms pale in comparison to these big box experiences. How we workout: You can go into any big box gym and be completely anonymous the entire time if you want. As a matter of fact, most of the machines are fitted with television screens or reading racks that allow you to keep totally to yourself. You can workout at the same gym for years, see the same faces every week, and never connect relationally if you so choose. Curl bars, shrug racks, and ab machines are all there to sculpt your body to achieve the perfect look! I’ve been a member at dozens of big box gyms through the years, and they served their purpose in my life…for a time. But in the back of my mind I always knew there was more to fitness – I just didn’t know what it was that was missing. Then I walked into my first Crossfit box. Can you say paradigm shift?! Where we workout: No machines, no mirrors, no amenities of any kind – just a sweaty garage-box with chalk dust on the ground and beaten bumper weights, kettle bells, & ropes along the walls. The Marine motto “High Speed Low Drag” hangs from the ceiling just above the pull up bars. Talk about the opposite of the big box experience. How we workout: No individual workouts in the box, and no “curls for the girls”! It’s not about how you look – it’s about how you function. 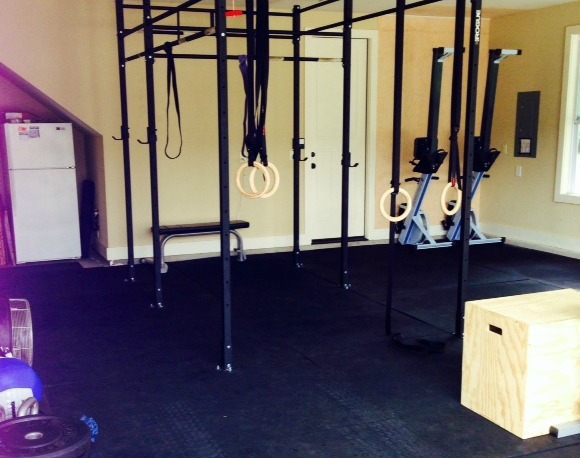 The Crossfit model is centered around community & functionality. By community I mean that we work out in small classes – nothing big or we lose the community dynamic – and we workout together, to achieve more. By functionality I mean that every exercise serves to strengthen our bodies for a particular function of life – like carrying groceries, picking up kids, etc. So the exercise serves a purpose for us throughout the week – exercise is a means to an end and not an end in itself. I believe big church buildings and all the programs they provide still do serve a purpose, but have you ever wondered how our nation got to the moral bottom when so many “big box” churches exist? Have you ever asked yourself how so many Christians can attend church and have so little community? Does it ever strike you as odd as to how we have access to every teaching imaginable on the bible, yet Christians are more unfit to deal with our nation’s moral & spiritual decline than ever before? I’ve been asking myself these questions a lot lately. Despite having access to the best facilities, experiences, & personal development resources in the Church’s history, Christians today just aren’t getting spiritually fit. We are self-absorbed, disconnected, and lost in the experience of big box church. It’s time we get back to the garage – get rid of the fluff, connect into communities, & get equipped to do fight the battles that lie ahead – battles for which we are not currently equipped to fight.